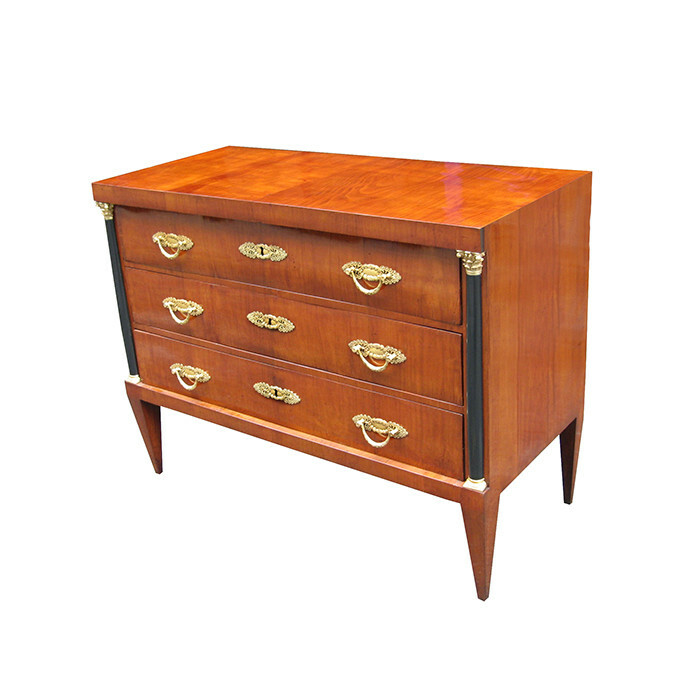 An Important pair of Neoclassical three drawer commodes. Cherrywood with ebonized pilasters, patinated bronze pulls , escutcheons and details. Dimensions: H:38½ W:50 D:22¾ Inches.